All of our teachers are passionate about music and the development of children. Each has completed Music Together®'s teacher training program and enjoys creating fun, informal, social settings that spur engagement and supports each child's musical development. And, adults, if you're not careful you might just learn something, too. Margit discovered Music Together as a parent in the Fall of 2001 when her son began attending as a baby, and continued with her daughter until 2009. She completed the teacher training for Music Together in spring 2006 and became a registered Music Together teacher for Music Together of Arlington. She achieved Music Together's Teacher Certification Level I during training in 2011 - winning high praise from Music Together co-developer, Lili Levinowitz, for her style, presentation, professionalism and joie de vivre! In 2010, Margit acquired and became the director of Mystic Valley Music Together - and acquired Music Together of Arlington in 2018 after serving as Administrative Director there for several years. Growing up, music was in important part of her family life. She also had three years of piano, two years of violin and one year of mountain dulcimer lessons in addition to participating in elementary, middle, secondary, college and adult choral groups. 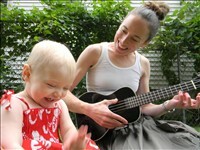 Since becoming a Music Together teacher, she has learned to play the guitar and is dabbling with the ukulele and banjammer (dulcimer/banjo hybrid). Family music making is a priority in the Griffith home and she brings music to her role as the Director of Religious Education at First Parish in Lincoln church. Margit holds a BS in Human Services and an M.Ed. in Middle School Education, both from Lesley University, Cambridge, MA. Will is an enthusiastic Music Together teacher who completed his training in the spring of 2013. A life-long singer, Will brings much musical experience to the classroom and loves making music with families here in his hometown of Arlington. He has sung with a-cappella groups (Harvard Din & Tonics), rock bands (Adult Children of Heterosexuals), and orchestras (Timberlane Pops) — performing at venues such as Scullers Jazz Club, Sanders Theatre, Bistro Duet, the Middle East Nightclub, Arlington Street Church, Johnny D's, Jacques, the Hotchkiss School (CT), Spring Island (SC), Star Island (NH), Westbeth Performance Center (NYC), and Yin Par Le Garcon Chinois (Shanghai). In a previous life he helped run the Cambridge Center for Adult Education and as a child did musical theater, commercials, voice-overs, and TV movies. Several years ago Will began playing the ukulele and writing songs, which led him into the wonderful world of coffeehouses and open mics. 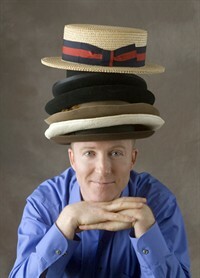 He has released four CDs — "Sketchbook 1" and “Blame Those Gershwins” with pianist Steve Sweeting, “Reel One” with the vocal ensemble At The Movies, and “If I Loved You” with singer Bobbi Carrey and pianist Doug Hammer. You are welcome to visit his web site, willsings.com, hear him sing on YouTube or Spotify by searching “Will McMillan” and listen to music at his blog, AMusicalifeOnPlanetEarth.WordPress.com. Jennifer has experience making music with all ages, from babies to college students to adults. As a performing professional, she can bring out her Broadway belt voice or her operatic soprano, singing atonal music or Renaissance motets. She sang the role of Sarah Palin in the world premiere of the opera "Say It Ain't So Joe" by Curtis Hughes and recently put the whole show on a CD to be released in September. Previously on the faculty at College of the Holy Cross and Eastern Connecticut State University, she currently teaches voice lessons at Boston Latin High School and in her private voice studio. A dedicated runner, Jen has completed four marathons. After starting Music Together classes with her toddler daughter, she was inspired to complete the teacher training and begin teaching. When attending her own Music Together class as a student, Jen's daughter expresses her enthusiasm by sprinting laps around the classroom, so if you have an active child, nothing phases Jen. Jen plays ukulele, piano and flute. "Mustering up “rock solid technique” and “the kind of vocal velvet you don’t often hear in contemporary music” (Boston Phoenix), soprano Jennifer Ashe (Brian/Susan, Giver of Light) has been praised for performances that are “pure bravura…riveting the audience with a radiant and opulent voice” (The Boston Globe). A strong advocate of new works, she frequently performs on series such as Harvard Group for New Music, New Music Brandeis, New Gallery Concert Series, the Fromm Festival at Harvard, is a senior member of the Callithumpian Consort, and the soprano for the Boston Microtonal Society’s chamber ensemble NotaRiotous. She also sings with Boston Baroque and the Handel & Haydn Society. Ashe holds a DMA in Vocal Performance and an MM in Vocal Pedagogy from New England Conservatory, and a BM from the Hartt School of Music. Formerly on the faculties of the College of the Holy Cross and Eastern Connecticut State University." Allie Fiske has been teaching Music Together in Medford for a combined 5 years. She was drawn to Music Together by the important foundation behind the program - that all children are musical and thrive when given opportunities to explore music in a creative, fun environment. Now that she has a baby of her own, she's excited to apply what she's learned from being a new Mom to both her Babies and Mixed-aged classes. Allie has a Masters in Community Arts from Lesley University and currently works in the Mayors Office in the City of Medford as the Business & Cultural Liasion. 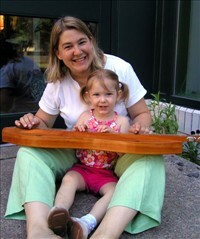 Carolyn's relationship with Music Together began in British Columbia when she enrolled with her young daughter in 2009. She completed her Music Together Teacher training in 2013 and became a much-beloved teacher in Vancouver, BC. But she missed "that dirty water" and, in 2015, was thrilled to bring her teaching skills home to Boston! Carolyn achieved Music Together's Teacher Certification Level I in April 2017. She relishes the opportunities Music Together has provided her to connect with her community and join families in fostering a love of music-making and rampant silliness. Carolyn has been a singer all her life. Her experience ranges from the tight harmonies of the 6-member Boston a cappella vocal band (and haven for math nerds) Integration by Parts to the huge sounds of Vancouver's powerhouse City Soul Choir and Arlington's own Mystic Chorale, both of whom have featured her as a recurring soloist. In 2003 she was a founding board member of the Boston-area nonprofit Vocal Band-Aid, an annual a cappella benefit concert raising money for underfunded school music programs. Carolyn also has a wealth of musical theater experience. She spent four summers studying at Stagedoor Manor Performing Arts Training Center in New York and worked as a music and theater instructor for elementary and middle school-aged children at Cranbrook Theater School summer program in Michigan. A native of Detroit, Carolyn has a special place in her heart for the Motown sound, but also loves jazz, soul, folk, and (yes, unabashedly) 80s pop. 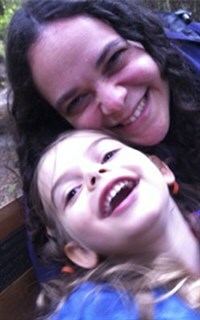 Rosa Elana is excited to be teaching Music Together and Canta y Baila Conmigo! Since her early childhood, Rosa Elena has loved to sing... along with her very musical family. She studied music formally at the National Autonomous University of Mexico (UNAM) in the National School of Music, then came to New England in 2000 and graduated from New England Conservatory with a Masters in Vocal Performance as well as second Master in Vocal Pedagogy with a concentration in Music in Education. She also has Kodaly level II and Music Together training. Rosa Elena's ten years as a teacher in private settings and public schools has given her experience with different learning abilities and different group sizes. We are lucky to have her this spring! Teaching music to young children is her passion and she loves to share her culture through music and song. Well hello, Heather; yes hello, Heather; it's so nice to have you back where you belong! Music Together of Arlington's Director Emeritus, Heather Mansfield, returns to teaching Music Together this winter and brings all of her years of experience along with some fresh new perspectives and energy to her classes. She is looking forward to re-connecting with Arlington's young families and is delighted to be working with young children again. Though an accomplished guitarist and confident pianist, Heather continues to develop her music skills - she began re-studying piano when her son began lessons, and dabbles in ukelele and djembe. 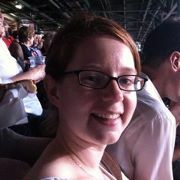 Prior to teaching Music Together classes, Heather put her M.Ed to work and taught in Montessori and public schools.